-Unaccountable noises (Including vocal and musical). -Apparitions, mysterious lights and shadows. -Unaccountable touches, pushes, smells, & temp changes. -Feelings of fear, disgust, horror, and of an unseen presence or force. The key to understanding a haunting is to respect what is haunting it. For the most part Ghosts will not hurt you. There are cases where they can push you and some have been scared so bad that they died of fright or fear. Very simply, in theory what is a ghost? A ghost is the spirit of an animal, human, or living being but it goes beyond that. It's about energy residue from the past. Sometimes this energy is negative, sometimes it dramatic, sometimes it's good, but sometimes energy is left over and does not go away. Therefore we are haunted by the past. When an area becomes quiet, it may become a dead cell. There are many reasons for it, perhaps there is: not enough energy for the spirit to absorb, maybe nobody is within the area in years to recognize the spirit, or perhaps the spirit finally found someone they are comfortable with. How a spirit moves objects is simple; for example let's say you got a group of people in a room and a ghost wants to slam a door. Well the ghost needs energy to do this. What I mean by energy is living souls within its range. By absorbing our batteries or intense souls giving off fear and adrenalin, they are able to have just enough energy to slam a door. It's like a light switch you can light the bulb by turning it on and feeding electricity through it. However most ghosts are very quiet and a lot of them want to be left in peace. So a lot of them are found in dark abandoned places. Places nobody even died in; just places that usually do not have a lot of people, sunlight, or noise. Many spirits become alive when there are things familiar to them. What I mean by alive is they react to only certain people, objects, scents and things. Ghosts still remain a mystery since we do not have all the facts about them. Why do they only show up sometimes, one theory is because perhaps ghosts cross between the spiritual realm and ours, or perhaps it's the right time and place, or maybe we happen to walk in on them and simply catch them in the act. Spirits will show themselves when they want to. This is why some photographers get better photos then others. Some spirits are more comfortable with certain types of people but more so then others. They are as curious about the living as we are the dead. Ghosts can do many things: yes they do talk, yes they give off scents such as roses, they normally feel like ice cold spots and sometimes all they are is a blur of light or foggy cloud. Not all ghosts are good natured; some intentionally get a kick out of scaring you. The sad thing is many of these spirits do not know they are dead, so they keep repeating history, roaming down halls perhaps checking someone's bed at night thinking they are checking on their kids. Ghosts do have a conscious; yes you can talk to them and they will sometimes react. Not all ghosts are of people or objects, some are animal spirits. If you go into a barn, you may get pictures of chickens, cows and horses because that is where most pass away. Ectoplasm (in theory) is the ghost itself. Last of all are phantoms. They are also ghosts, but phantoms are usually people that killed themselves, passed away in a violent sudden way, or were murdered. These are common theories. It's a ghost that repeats it's self over and over which becomes a residual repetitive effect. Most civil war ghosts are considered phantoms. In the middle of war they were killed; some instantly. They had no chance to make amends, therefore their business remains unfinished and sadly until someone helps guide them, they'll probably always remain. We must respect spirits and learn about them. 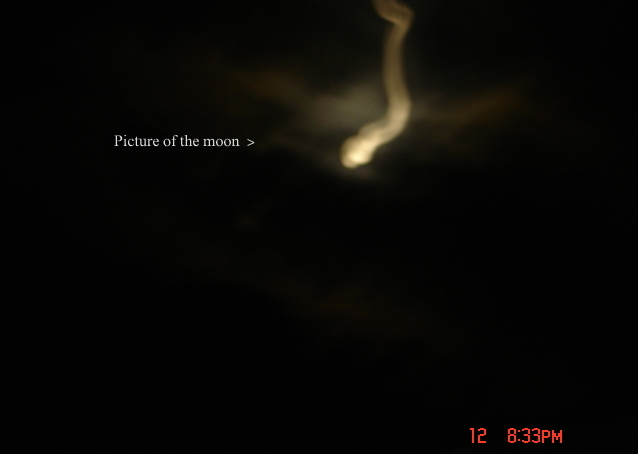 They may show up on photos, as the camera is quicker then the eye. Just remember that they are everywhere. If you want to see them, you first must believe in them. 2. "What are the signs of a haunting?" The following are some possible signs that are often associated with a "Haunt". This is not meant to be complete list by any means. A location could be "Haunted" and have one, several, all or none of the following occurrences. It could also occurring by natural means and not be haunted at all. Geological, Electrical, Plumbing, and Environmental factors must be taken in to consideration. Many thingscan be associated with several types of hauntings. Investigators will try to decipher the type of haunting by the phenomena occurring. This is often times not an easy thing to do. The major difference in types of hauntings is The Interactive and The Non interactive. The most important thing to remember is to try and find a logical cause of the occurrences and/or sounds: Such as foot steps or foot falls, Voices or whispers, Music, Banging or knocking, Slamming doors, etc. Unexplainable Feelings: Cold or Hot spots in a room or location, Feelings of being watched, followed, not alone, or of a strong presence, Feeling touched with nobody present. Seeing: Things out of the corner of your eye, Moving shadows/fogs/mists, Visual appearance of an apparition or apparitions, unexplained flashes of light, unexplainable images. Smelling: Odd scents that do not belong such as Perfumes, Floral, Cigar smoke, Foul putrid smell. Children with "Imaginary friends", Pets behaving oddly, Objects moving on their own, Electrical appliances acting weird, Problems with plumbing, Windows/doors opening or closing by themselves, Missing/disappearing and re-appearing objects, Hearing/feeling breath when nobody is there, Unexplainable fires, Huge turnover in residence of a dwelling or business. If you feel that you have these issues in you own home or business and would like 417PRS to investigate it, please visit our contact page. 3. "What type of haunting do I have?" These are the most common types of hauntings that are talked about in the paranormal community. We at 417PRS will say that we have come in contact with most, if not all of these. In this type of haunting, spirits aren't confined to one space. They are aware of their surroundings and are able to move to different locations. Spirits in these types of hauntings can acknowledge the existence of the humans and even try to communicate with them in various ways. 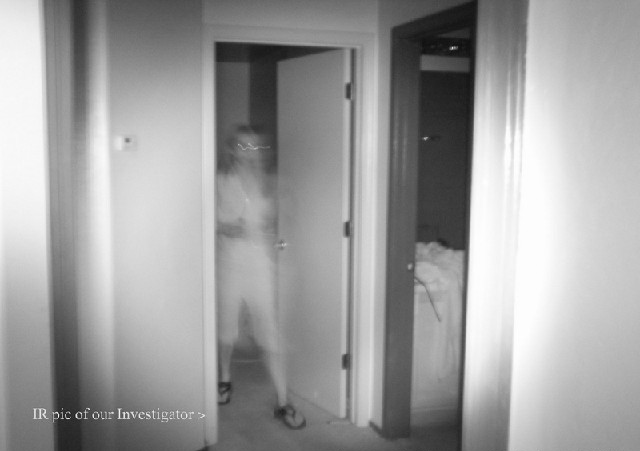 These types of ghost are also able to move lighter objects with intentions on getting humans attention, (often taken the wrong way and the person is left scared).These types of spirits can be mischievous or benevolent. 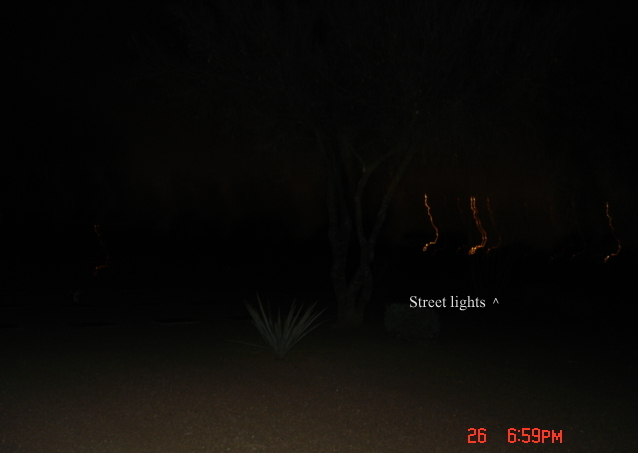 These types of spirits also do not want to leave the location in which they are haunting for any factor, whether it being their past place of residence, or they know they're being noticed. They may also be attached to an object still in the home and tend to not acknowledge that they have died. These types of hauntings can also be associated with Poltergeist hauntings. 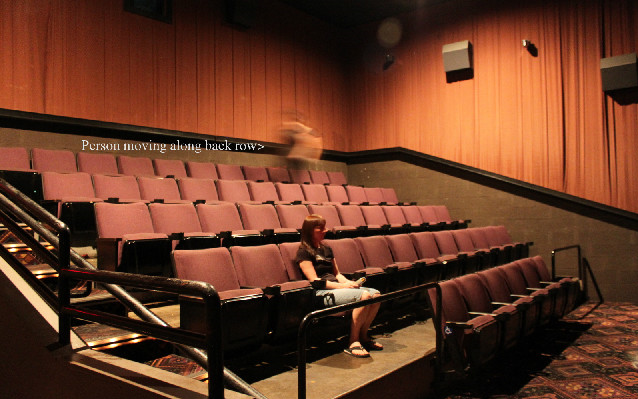 Residual Hauntings are like watching a video and hitting rewind to watch over the same part over and over again. They tend to gradually fade out over time and sometimes never come back. The most common type of a residual haunting would be something like a battle or war fought a long time ago. There are no spirits involved in a residual haunting, its more like something that has been recorded by a traumatic event; basically, like a playback of a past event. Sometimes a person is lucky enough to actually catch this type of haunting on camera or film or even by the naked eye. The ghosts in a residual haunting do not interact with you; in fact they do not even know you are there. You could say they are doomed to play out the last moments of their lives forever and ever in time. This type of event is not dangerous at all, so if you ever have the chance to witness one, do so without fear and enjoy it. This type of haunting has to be considered when investigating a haunting. 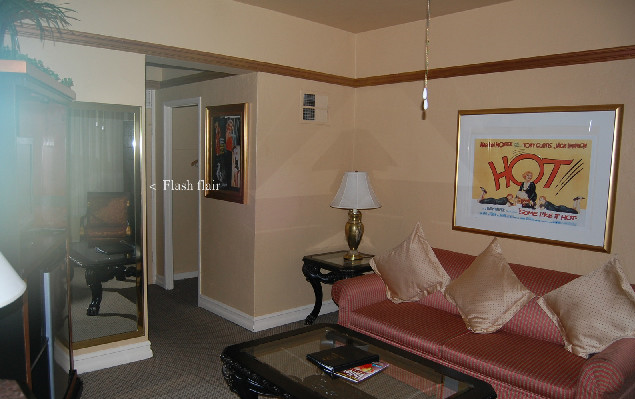 There are numerous theories on how these residual hauntings come to be. 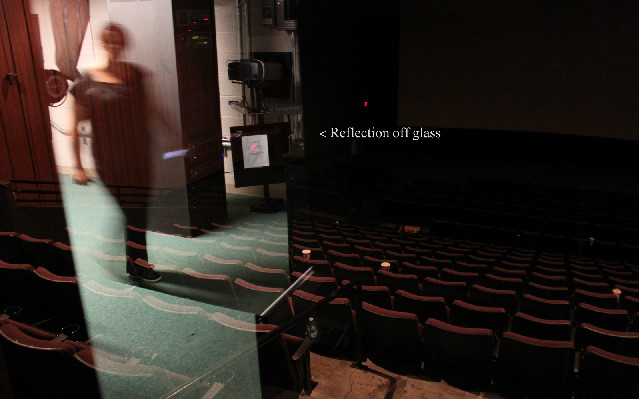 Video and audio tapes capture sounds and images on a film of special material that has been oxidized or rusted. Certain building materials, such as slate used in older castles and stone structures and iron nails used in many older buildings, have properties similar to that of the tapes. When a traumatic event occurs or a time of heightened emotions, these materials record the event for future playback. Everything is made up of energy and energy cannot be destroyed. The materials store the energy created by these traumatic events and plays them back at a later time. Demonic hauntings are rare but are present in are world of ghost hunting; A demonic haunting is of a very violent haunting. Usually what is present is a demon or inhuman spirit. In a demonic haunting you may be faced with scratches (randomly waking up with them), being pushed, hissed at, being called bad names and being punched, kicked etc. Demons hate us humans and want nothing but to rid the world of us normal. Known as fallen angles, they believe we are the cause of their punishment. A demonic haunting may start off as random raps on the walls, then move up to things being moved on you, and things being thrown across the room. Then It may get more violent and you start being assaulted by the demon. You can avoid this type of haunting in some ways as these spirits enter our homes by the use of black magic, Ouija boards or some type of unholy worship or practice. These are not the only ways though, just some of the more common instances found through many studies spanning the past few years. A malevolent, mischievous spirit or form of energy which manifests with characteristics such as strange noises, moving or disappearing objects, and abnormal odors. The word poltergeist is a German word, literally translated, it means "Noisy Spirit." A typical poltergeist haunting tends to include; noises, things being moved around on their own, and loud knocking. There also may be voices, smells and apparitions. These events are usually witnessed by numerous people in the home including friends and other relatives. In poltergeist cases, reported disturbances include: strange noises and knockings, and objects moving about as if under their own power. Objects have been reported to fly about in bizarre trajectories, to crash to the floor and break, to break or shatter in place, and to disappear and reappear, sometimes in different locations. Beds are sometimes reported to shake and furniture to rearrange itself. In more rare cases, small, innocuous fires have started, water droplets or bursts have fallen from nowhere, stones have pelted homes, and vague apparition-like forms have been seen. Whatever the nature of the physical disturbances, poltergeist phenomena can inevitably be linked to an "agent." Though the agent can usually be narrowed down to one person, in some cases the agent appears to consist of two or more people who co-create a psychological dynamic that causes one or more of the people to mentally "set off" the physical disturbances. Studies and investigations show that agents are typically experiencing repressed or unresolved emotional stress. Adolescence is commonly a stressful life period (psychologically and physically) and not surprisingly, the majority of reported poltergeist cases involve adolescent agents (the age range is from 12 or 13 to early 20s). However, people of all age groups are potential poltergeist agents (although there has been a noticeable lack of agents under 10 or 11). Studies have also shown that people with epilepsy or epileptic-like activity in the brain are sometimes associated with poltergeist activity. This does not mean that everyone under stress or with epilepsy will be a poltergeist agent. In fact, the phenomenon is very uncommon, even though minor PK events may occur throughout someone's lifetime. In severe cases of repressed stress or epilepsy, poltergeist activity rarely occurs. Electronic Voice Phenomena (EVP) are said to be manifestations of voices of ghosts or spirits made audible through static on the radio, or on electronic recording media. According to psychologist Konstantin Raudive, who popularized the phenomena, the "voices" are typically brief, usually the length of a word or short phrase. Later authors have said that they are observed on diverse media, including: radio, television, tape recorders, video recorders, and digital recording devices, and are sometimes answers to questions asked during the taping. EVP are considered by paranormal researchers as a subset of instrumental transcommunication. There is an absence of documentation regarding EVP in mainstream scientific literature. The possibility of spirit communication through electronic recording devices has been a subject of interest since at least the 1940s when the first recordings were attempted. Originally labeled “Raudive Voices,” after Raudive, they were later renamed “electronic voice phenomena,” a term introduced by the publishing company Colin Smythe Ltd in the early 1970s. Various individuals have studied the phenomena and believe that the most likely explanation is that they are produced by spirits of the deceased. This explanation was first introduced by American photographer Attila Von Szalay, who believed he recorded the voice of a dead loved one in 1956. This lead to research conducted through the late 1950s, 1960s, and 1970s, notably by psychologists Raymond Bayless and Konstantin Raudive, and film producer Friedrich Jürgenson. In 1980, inventor William O'Neill, backed by industrialist George Meek, built a 'Spiricom' device which was said to facilitate very clear communication with the spirit world. In addition to deceased spirits, various researchers and their critics have suggested that EVP could be due to: psychic echoes from the past, psychokinesis unconsciously produced by living people, apophenia (finding of significance or connections between insignificant or unrelated phenomena), pareidolia (interpreting random sounds into voices in their own language which might otherwise sound like random noise to a foreign speaker), the thoughts of aliens, misidentification through lack of quality of equipment, or simple hoaxes. Culturally, EVP has spread into several areas of interest. EVP has become a tool of paranormal investigators, used when attempting to contact the souls of dead loved ones or during ghost hunting activities. References to EVP have appeared in the reality television show Ghost Hunters, the fictional Supernatural and Hollywood films such as White Noise and The Sixth Sense.-From Wikipedia, the free encyclopedia. Midwest Ghosthunters are NOT shy about saying that "most" claims we encounter can be explained by normal, non-paranormal deduction. 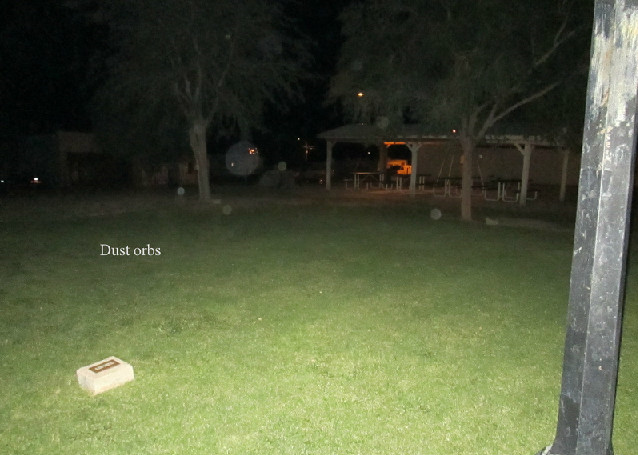 We have provided pics below of some common misleading pictorial "anomalies"
Thanks to the Arizona Spirit Paranormal Society http://www.arizonaspiritparanormalsociety.com/, for providing us with these great examples! If you feel you are experiencing paranormal activity, please contact Midwest Ghost Hunters by clicking HERE now!